A motorcyclist sustained serious injuries in a traffic incident on Friday in Silverdale, Washington. The biker was traveling on State Route 3 at Newberry Hill Road when a piece of plywood flew off a passing truck. The rider lost control of his motorcycle and crashed. He was transported to a hospital with serious injuries. Investigators believe that the piece of plywood was not secured properly; the driver of the truck had only tucked it under a ladder instead of strapping it down. 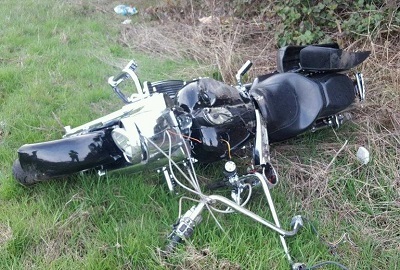 At highway speeds, it broke free and slammed into the motorcyclist. Many drivers believe that if an object falls off their vehicle and into the roadway, it’s no longer their responsibility. Legally, this isn’t the case. Drivers are responsible for securing the loads they carry, and they could be held liable for an accident caused by roadway debris or an unsecured load breaking free and falling off their vehicle. At highway speeds, even a small object can cause a catastrophic collision. Debris as small as bits of gravel or small tree branches can slam into a windshield, impairing a driver’s vision and ability to concentrate on the road ahead of them. Even objects that don’t seem dangerous can become projectiles capable of punching through a car’s windshield or roof at high speed. And when trucks share the road with bikers, pedestrians, and motorcyclists, drivers have to exercise extra caution. Unfortunately, in many cases involving an unsecured load, a driver may not even realize that their negligence has caused a crash. In other cases, a driver may realize that they lost a load, but they decide that it’s more convenient to leave the scene than to stay and deal with the consequences of their actions. In these cases, while the driver may still be legally responsible, police can have a hard time tracking them down. Small items like gravel and pieces of plywood can be hard to track back to their owner, and they’re often the only clues left at the scene. 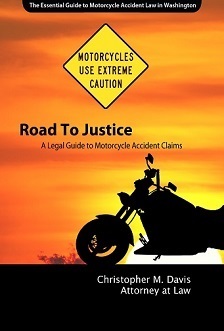 As a motorcycle accident attorney, I often get calls from injured victims asking whether an insurance company will pay for a claim for damages caused by an unsecured load. While it’s possible to get the at-fault party’s liability insurance to cover expenses, this can be a tricky process. Small claims can be handled on their own, but injured victims with large medical expenses often find it easier to work with an attorney to help them handle their legal case. If your damages are small and did not involve an injury, you may be able to handle this claim on your own through your insurance company or the at-fault driver’s insurance company. If you’re not sure where to begin, check out this free legal guide to property damage claims. If your damages are large and include an injury, but you don’t know the identity of the at-fault driver, you can speak to a personal injury attorney who offers free consultations in order to understand your legal options. You may have some compensation available through your own insurance company’s personal injury protection plan. Since the at-fault driver committed a crime by leaving the scene of the accident they caused, you may also be able to use the Washington State Crime Victims Compensation Fund to help pay for some of your expenses. If your damages are large and include an injury, and you know the identity of the at-fault driver, it’s a wise idea to work with a personal injury lawyer. Studies have found that injured victims who hire an attorney receive settlements that are 3.5 times higher on average than victims who handle their cases on their own.